Hey all, I’ve been pretty tight-lipped about The Index for a while but over the next couple of months I’ll start putting out more details. 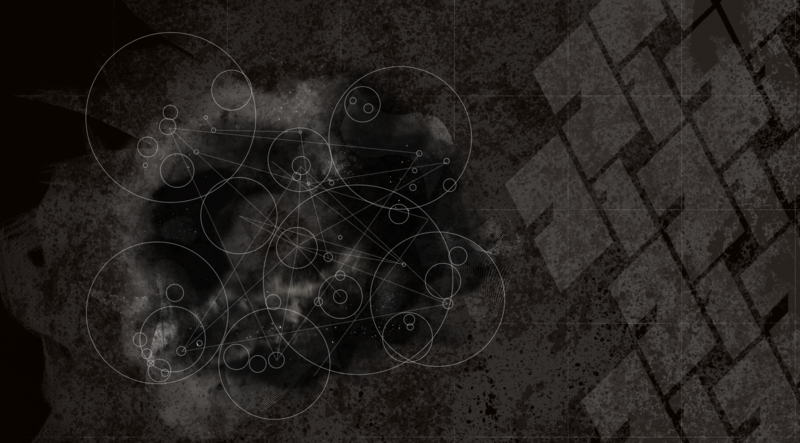 For now, here’s the cover and some explanation. The Index will be my sort of pocket-book guide to In Extremis. 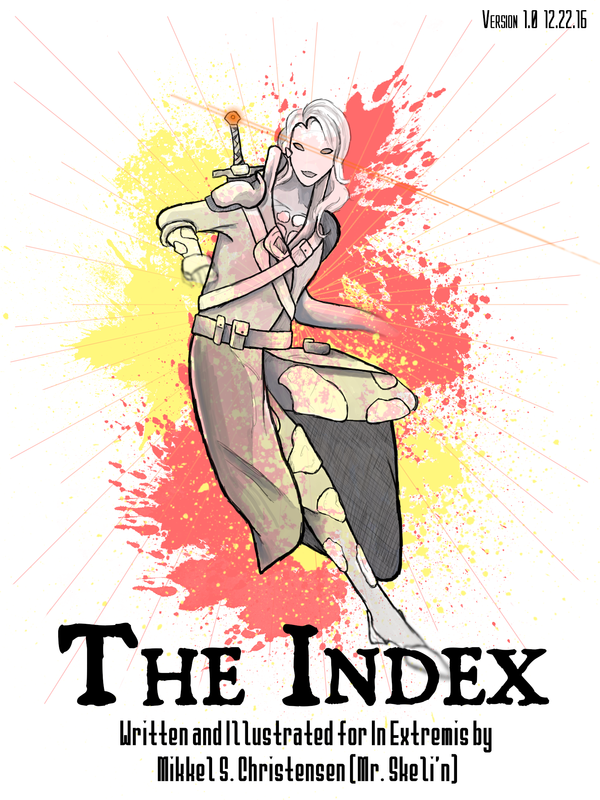 The Index serves two functions- to be short and succinct, but also contain an ever-growing encyclopedia of knowledge for those that want to dive in deep. As you can see in the top right corner, it’s version 1.0 (to be release on December 22nd). Each major version change might receive a new batch of cover art. I like the idea, but I’m not convinced yet as to what would constitute a major version change — perhaps a new plot arc or even a book release.